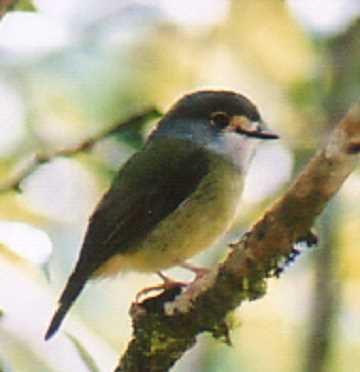 The ‘Eastern Yellow Robin’ sometimes appears on the edge of the tropical rainforest where it meets up with the bird's usual habitat of wet sclerophyll forest. It is a small plump bird with grey upperparts and yellow underparts. Its call is a monotone, harsh "chit"
They feed from the ground and surfaces of trunks and branches, eating mainly insects.